The Nordic take on a traditional Advent calendar is made of paper and has a minimalist feel. 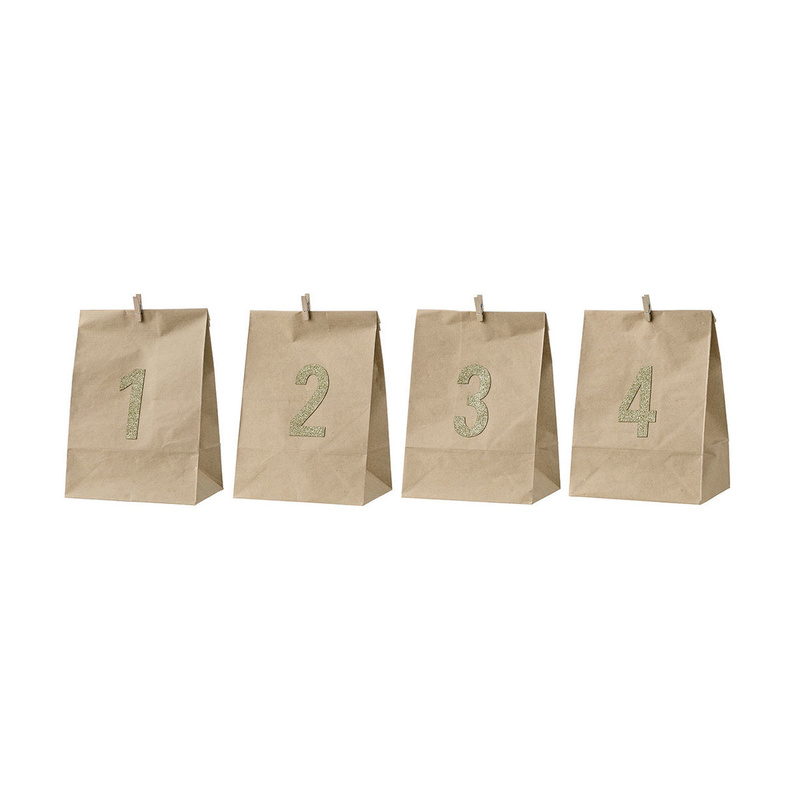 This set includes 4 paper bags designed to house mini Advent gifts, but also perfect for anything else you like. Each bag is marked by a number. Bloomingville is all about Danish design combined with the Nordic trends of the moment and an ambition to give you more than you can possibly expect. Its story began in 2000, when Betina Stampe followed her dream and passion and founded Bloomingville. Today the company has grown into an international cooperation.